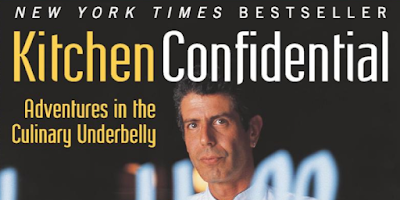 In November the CCR Book Club will discuss "Kitchen Confidential" -- the book that launched Anthony Bourdain to fame. As the Guardian review said, "Take one New York chef, add drugs, brandy and blood and you have a cooking classic." Where: Trastevere (near the Ministry of Education); exact address sent to confirmed participants by email. Potluck: Please RSVP letting Luigi know what finger food you will be preparing for 6 people. Further info & RSVP: canadarome@gmail.com ATTN Luigi.